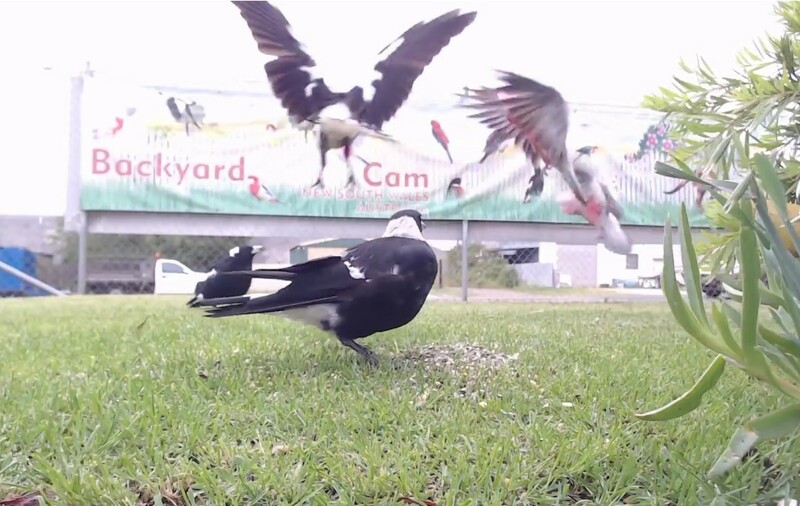 Wow Van, great galah captures....thanks for posting what I missed! 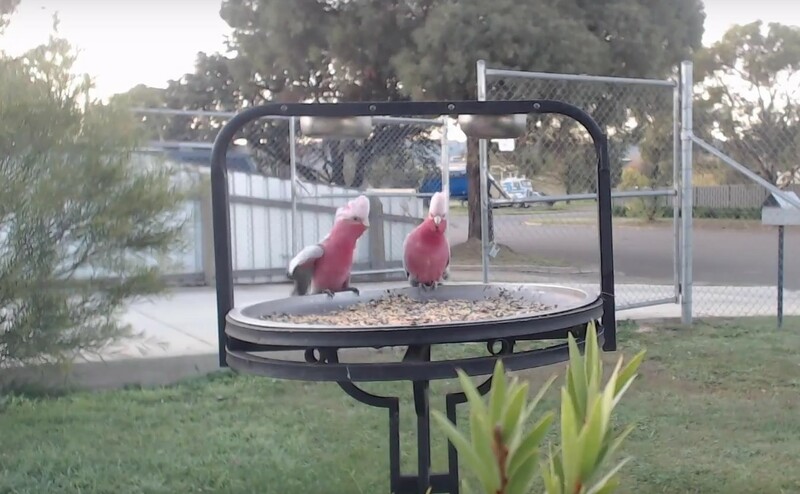 Solitary Galah on cam this morning. 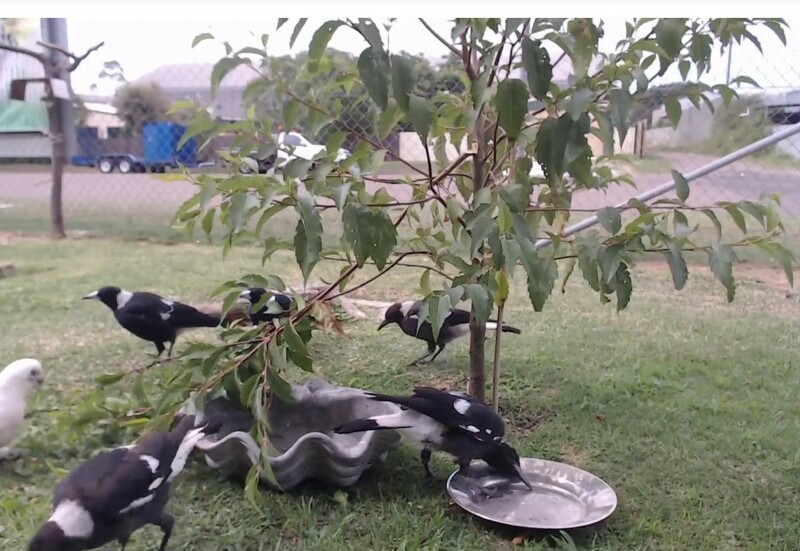 Was interrupted by a Magpie! 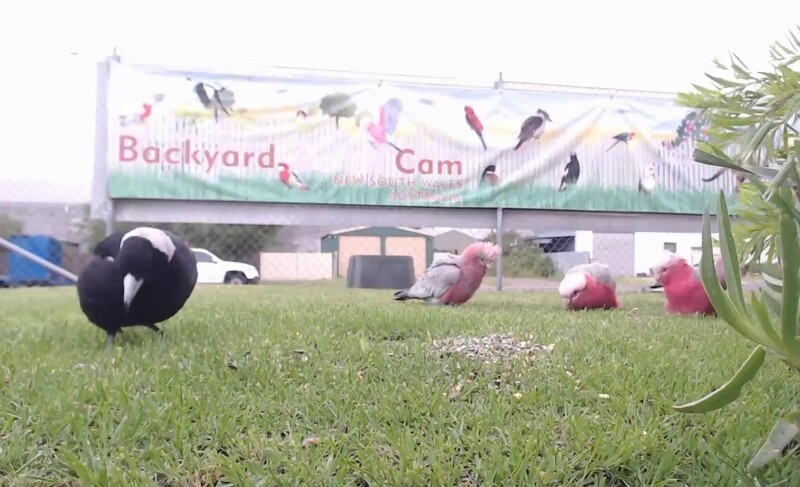 Maggie left eventually, but Galah continued with its brekkie! 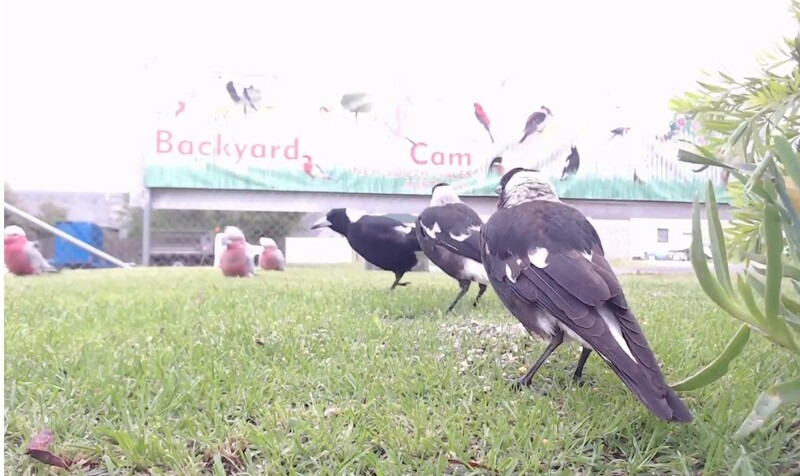 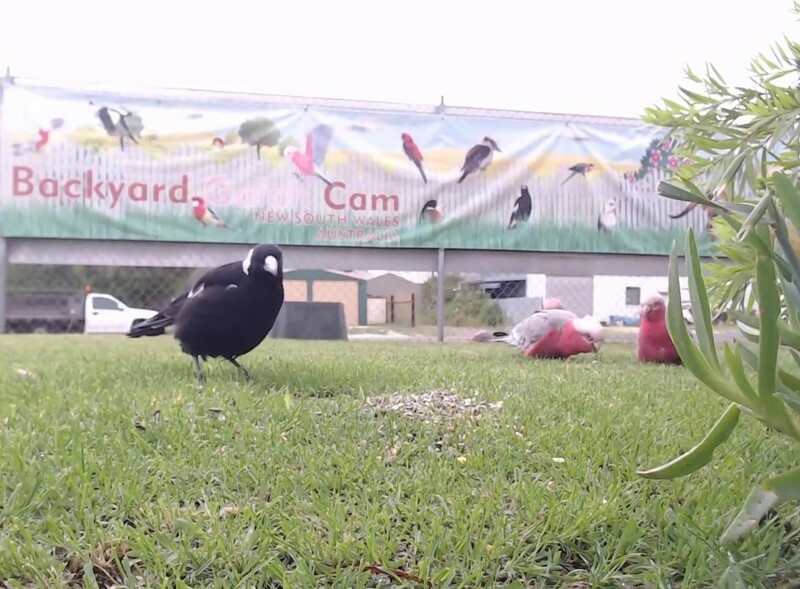 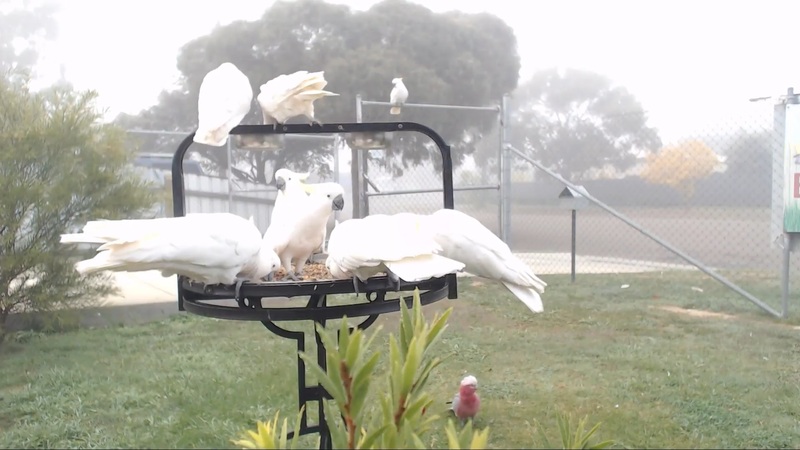 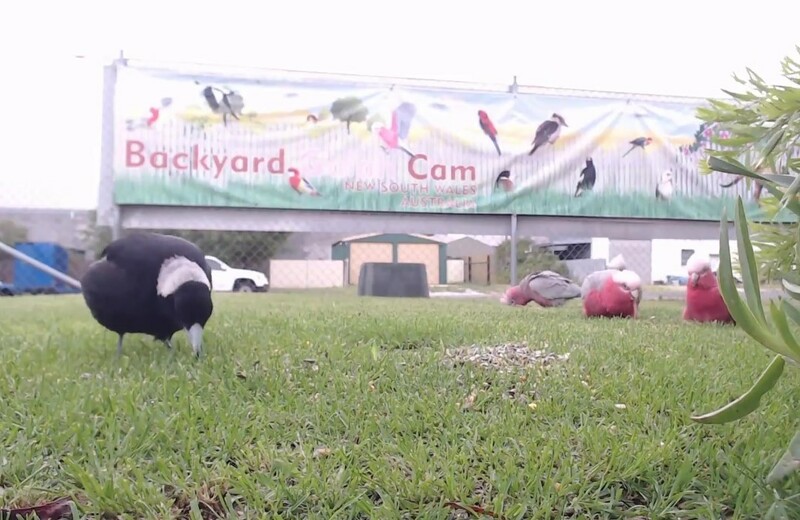 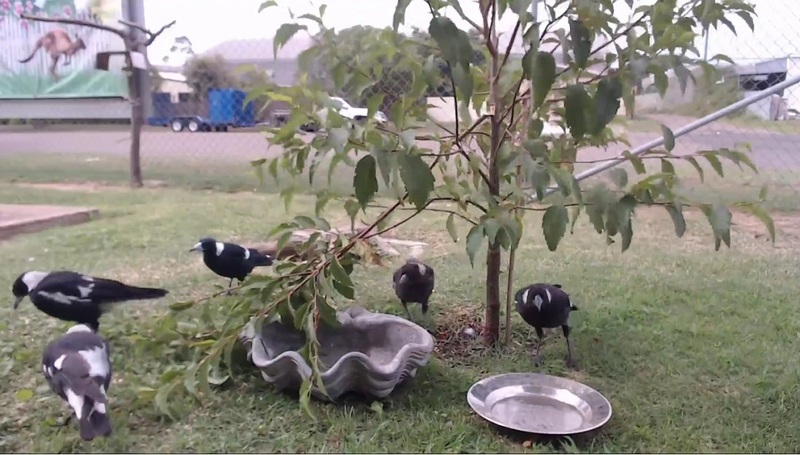 Maggie and Galahs on Kimcam this morning! 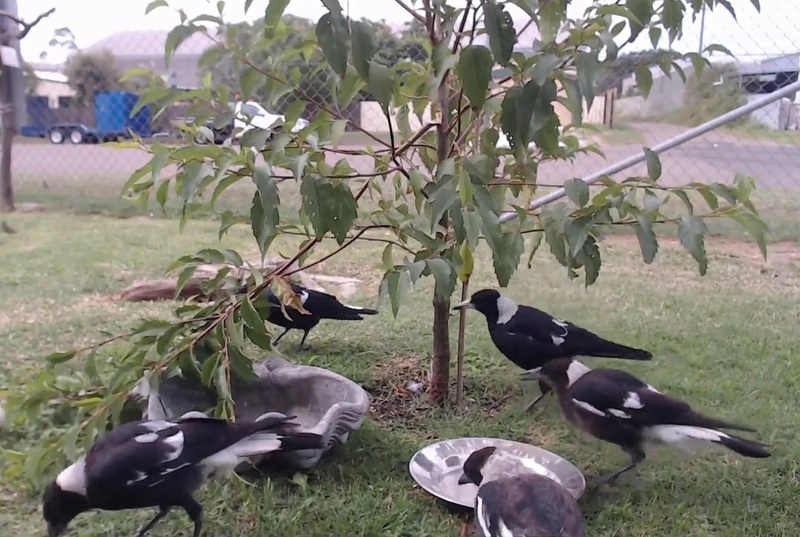 All was peaceful until young maggie showed up and lunged at the galahs - causing the little galah family to fly off! 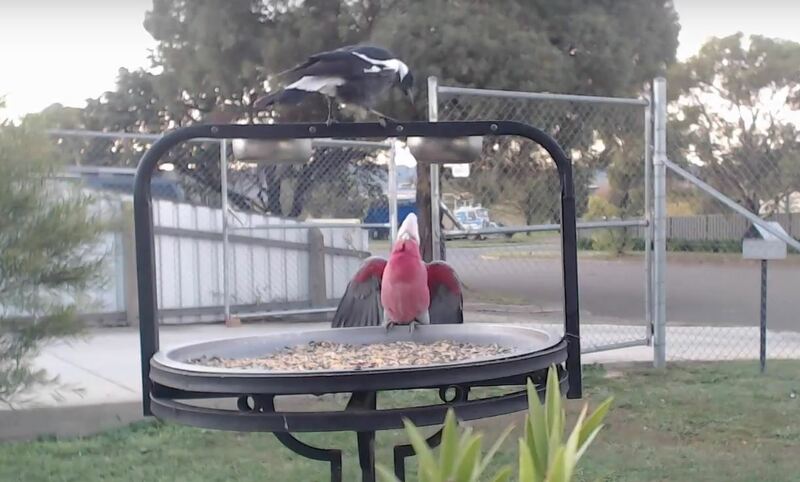 Maggie flies off when second Galah flies up to the feeder! 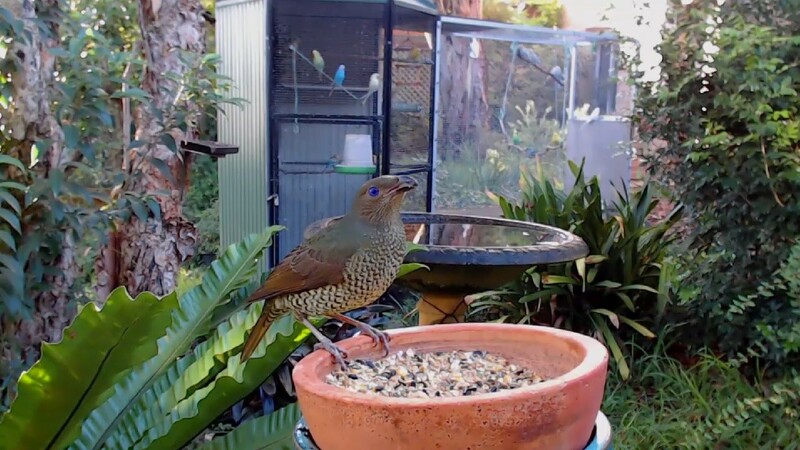 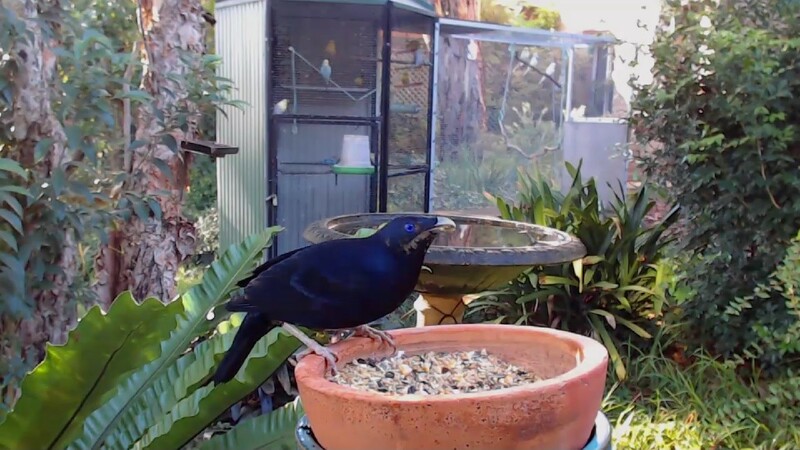 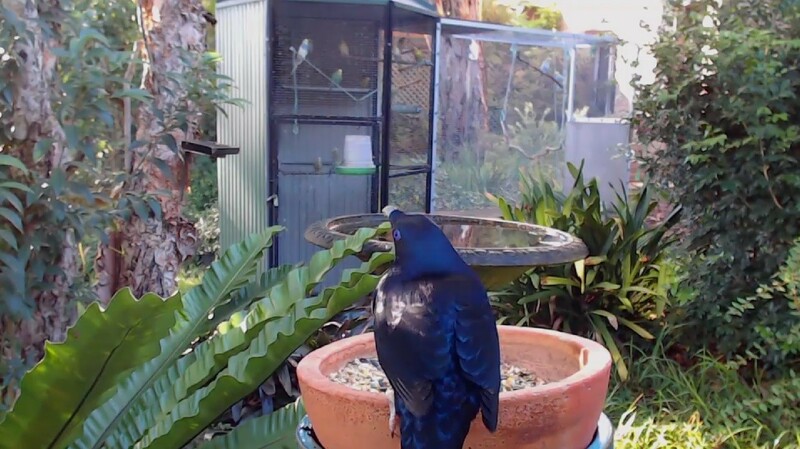 Bowerbirds visited Al's feeder yesterday. 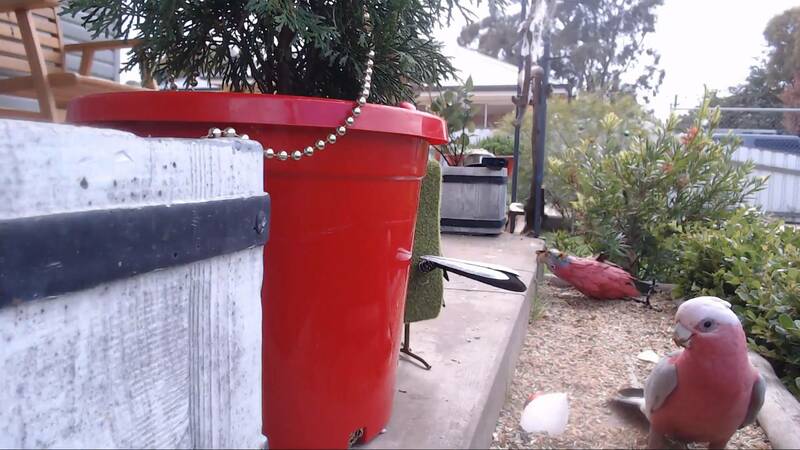 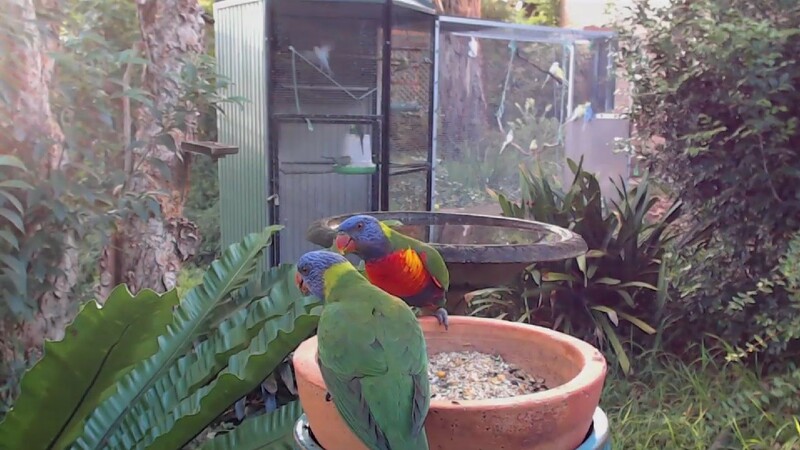 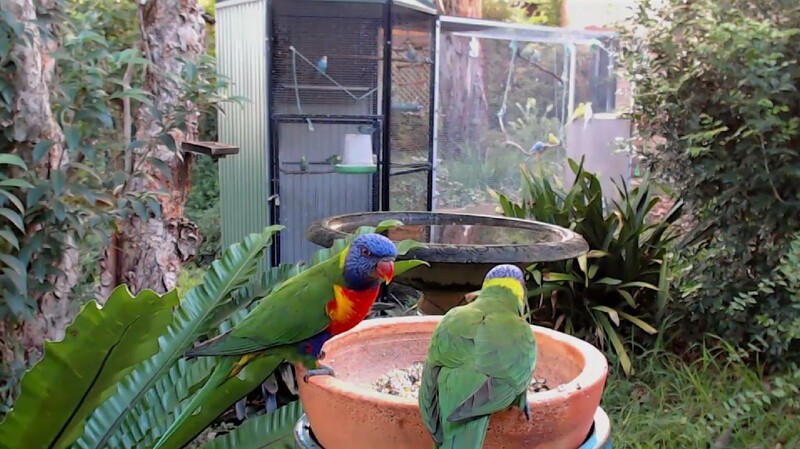 The lorikeets visited the feeder early this morning - are they eating seeds?